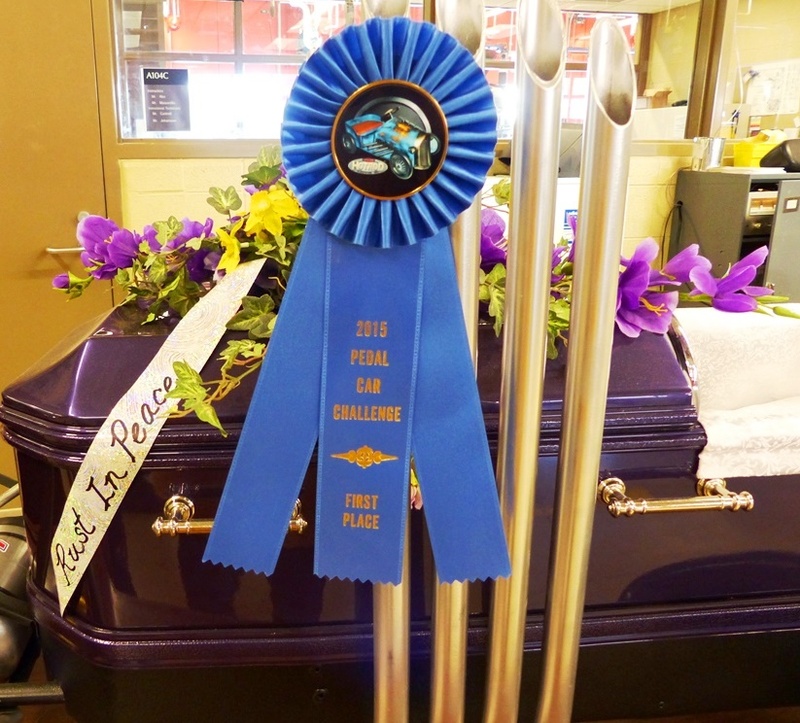 TRANSPORTATION TECHNOLOGY students at Oakland Schools Technical Campus Northwest (OSTC) in Clarkston took first place at the 2015 Autorama Pedal Car Competition with their Munsters-themed coffin dragster. Pedal cars are toddler-sized vehicles that are built frame-up to actual auto industry specifications. 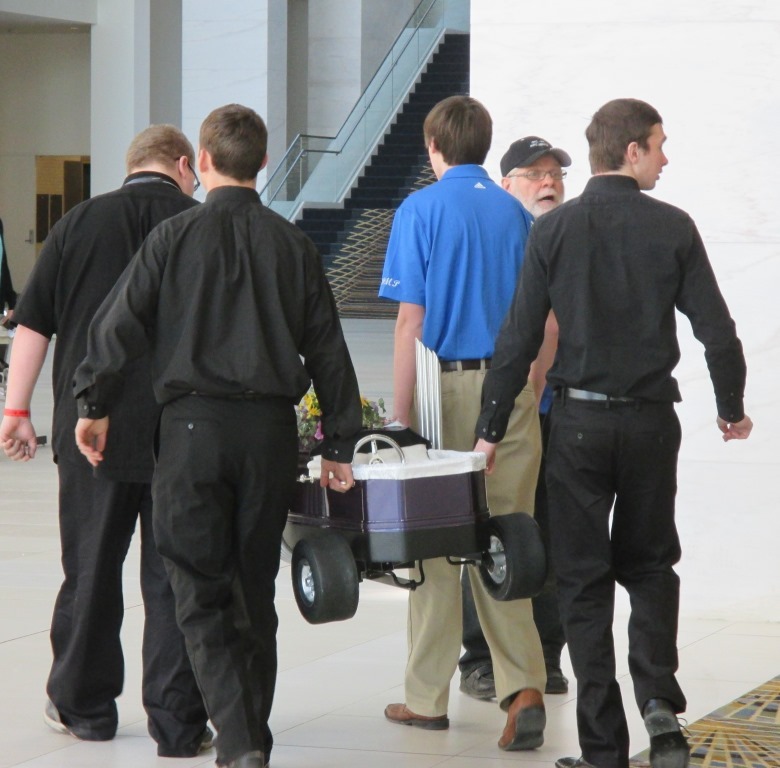 High schools students in automotive technology programs across Michigan spent approximately 3 months working on each of the cars, which were displayed and judged at Detroit’s premier custom car event at Cobo Center, March 6-8. 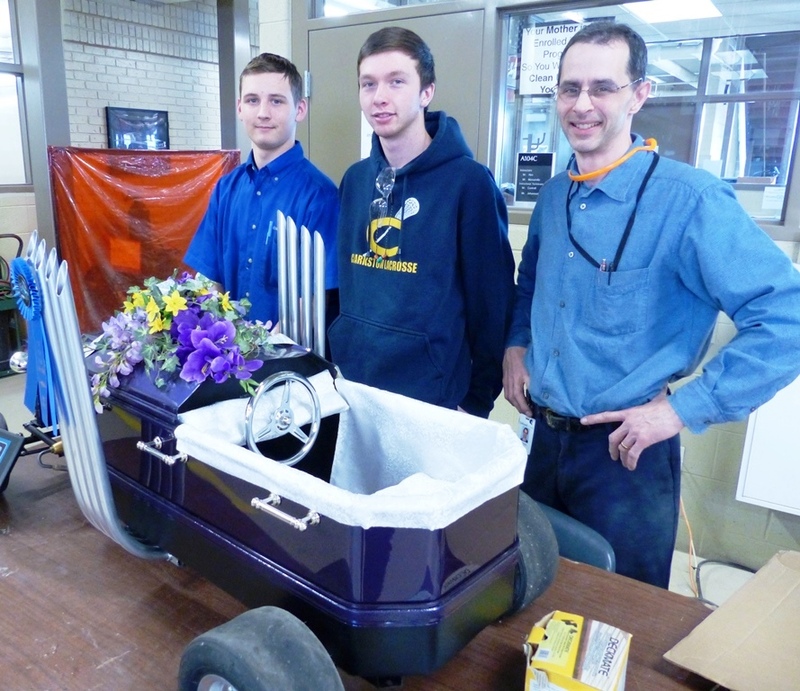 At OSTC Northwest, the pedal car process is mentored by Instructor Michael Ales and his team of experienced assistants. Ales offers his students ‘best practice’ examples, guides them to find solutions and encourages their passion to learn. “Students use lots of engineering concepts and problem-solving during the process. Their questions get met with questions. I provided guidance and the students created an open roadster street racer. The principles that students use on pedal cars are the same strategies they would use on regular cars in the manufacturing world. These small vehicles capture the students’ imagination – creating a complete pedal car start-to-finish is a highly motivating factor for teens, and an attainable goal. “We used to teach tech skills piece-meal, but the millennial student is NOT motivated by small projects – they are comfortable with backward design. They like to be handed the big project goal and then learn the steps to successfully complete the goal. So instead of teaching a project in small pieces, we now teach our students HOW to LEARN. When our students find a tutorial on YouTube, for example, we teach them how to differentiate good and bad resources. It’s experiential ‘discovery’ learning, where a student finds an interest and develops ability and specific skills – and importantly, learns what he or she doesn’t know! This non-linear process can be messy, but it’s not unorganized. Our environment at OSTC gives students the space to develop critical thinking skills. “Our students and instructors are transforming community perception of CTE,” Ales continued.